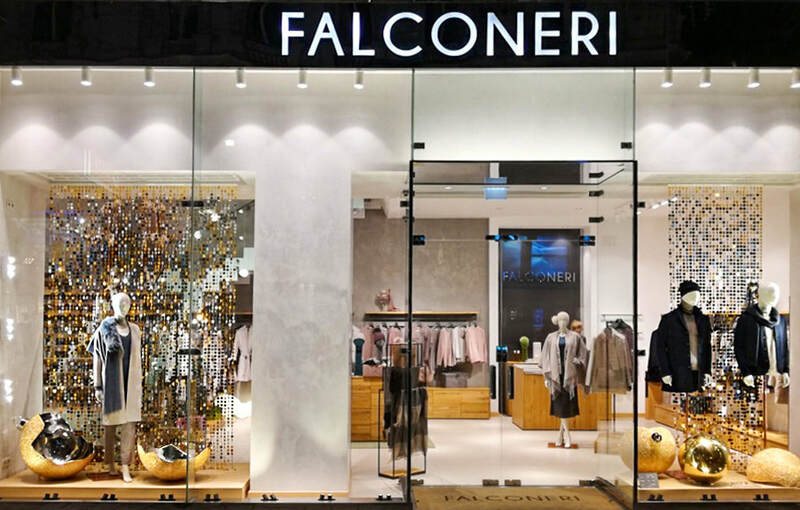 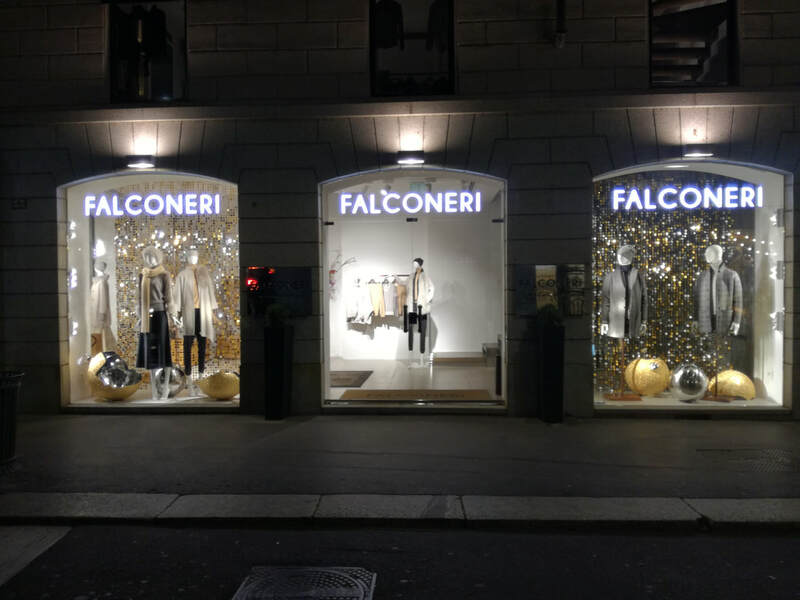 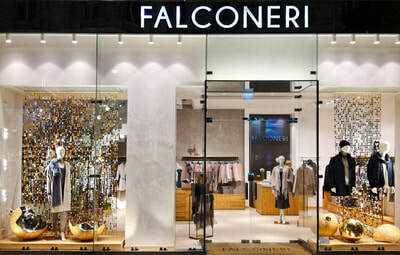 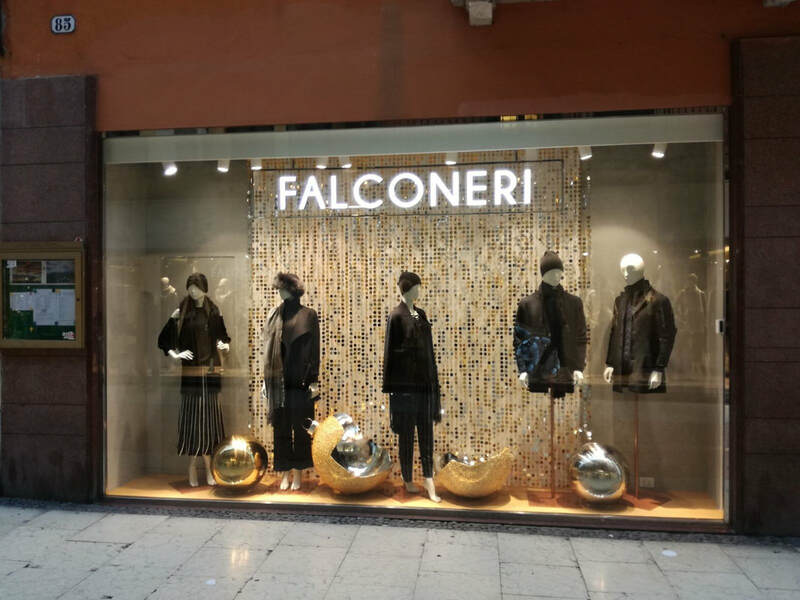 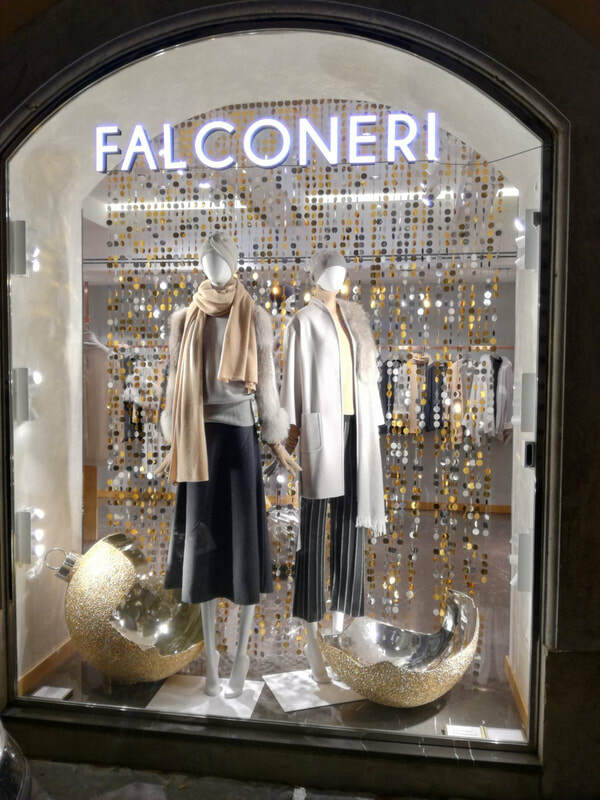 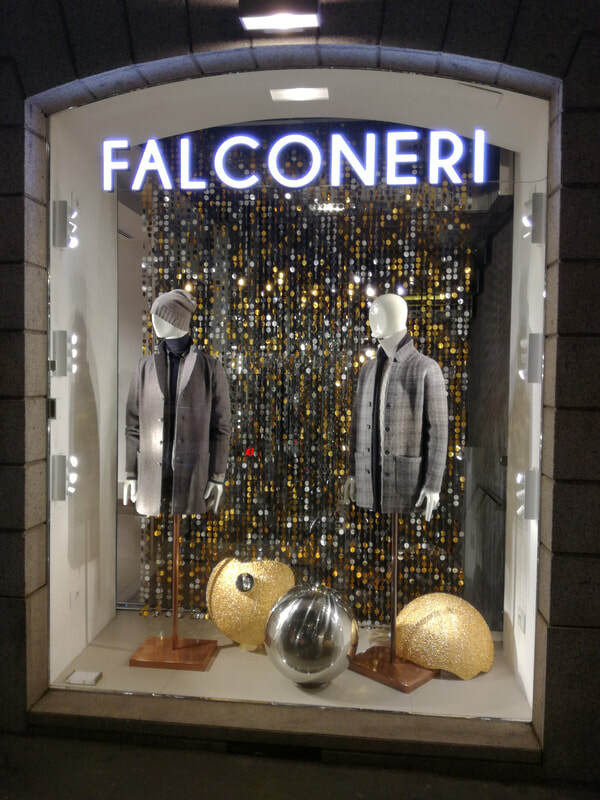 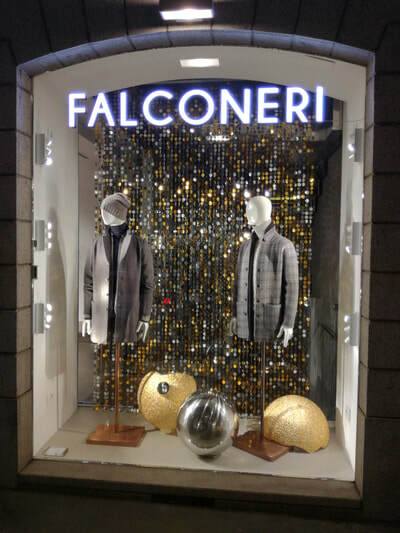 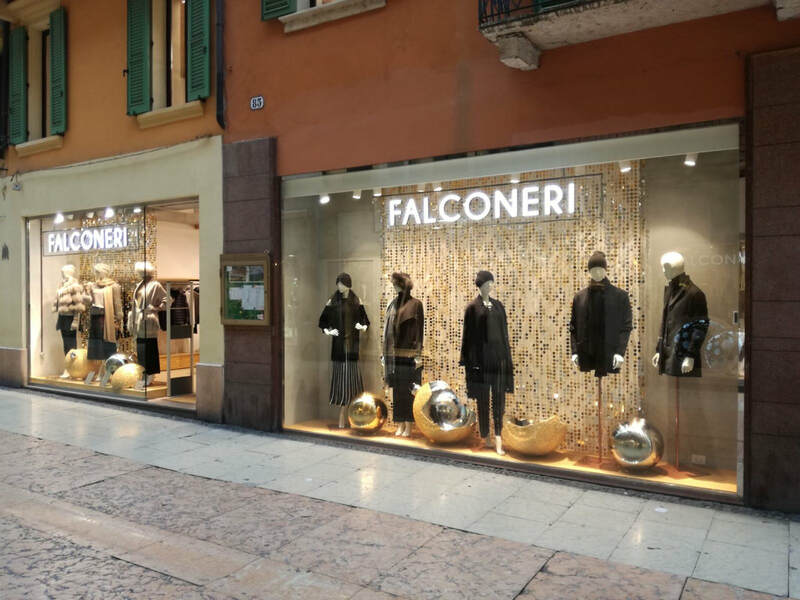 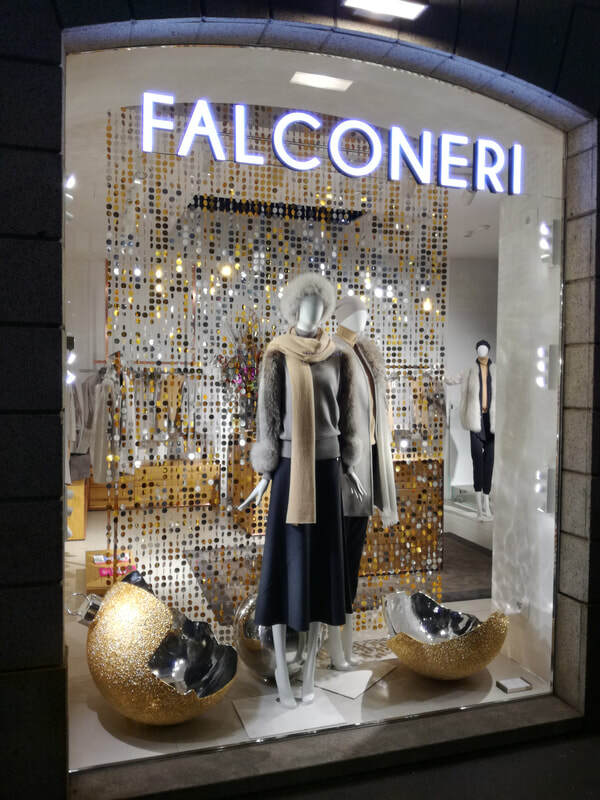 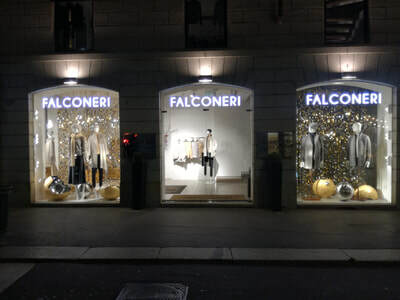 We worked with the fabulous Italian cashmere clothing retailer Falconeri who brought a Project to us that we had not previously been asked to do before. 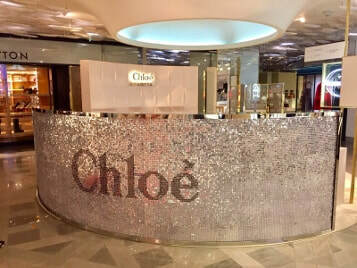 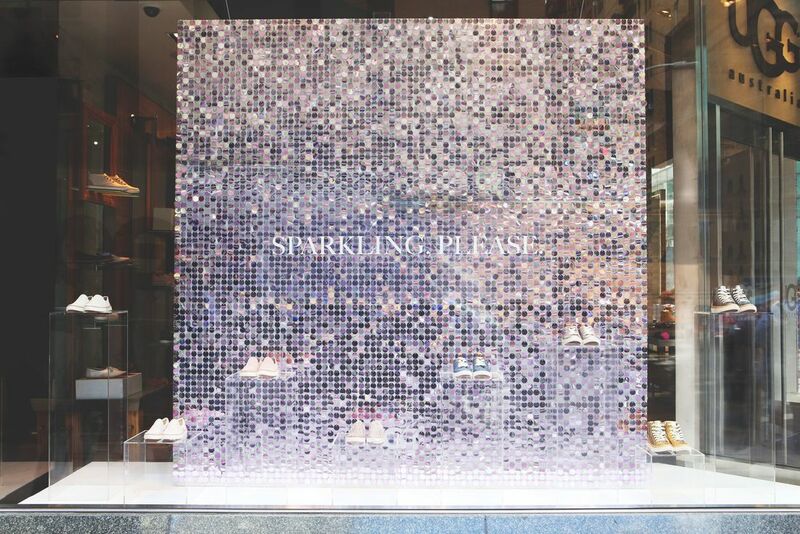 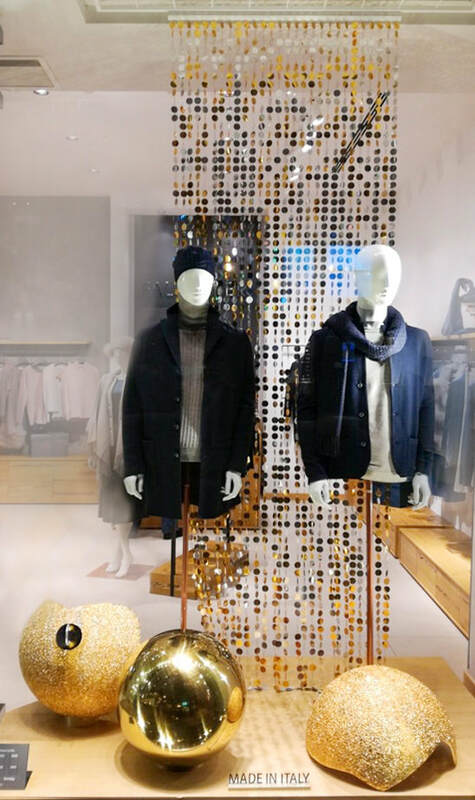 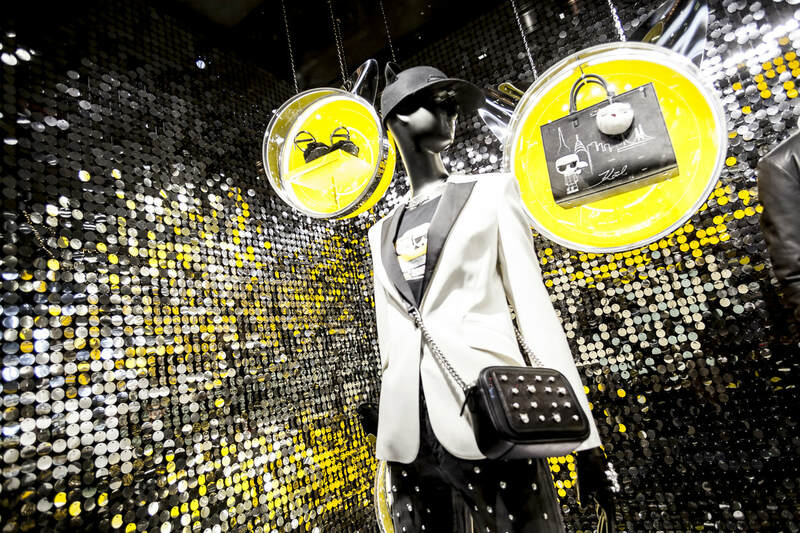 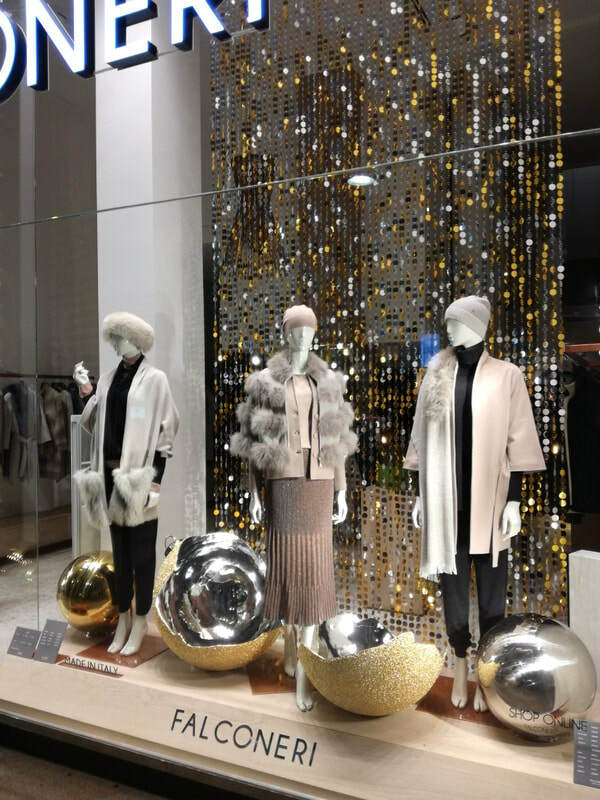 Their creative team wanted the flexibility of a sequin background for their store windows but also that they could use within their stores without needing a backing wall. 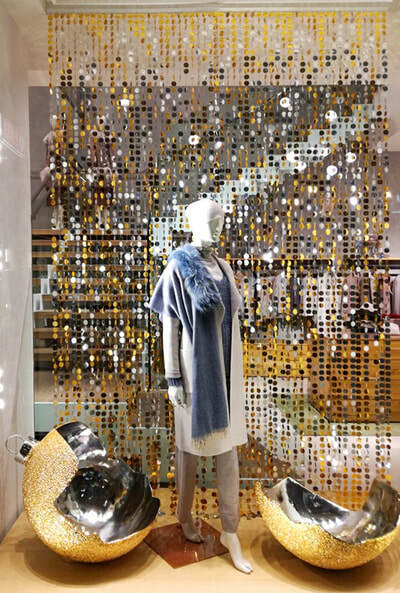 The final agreed concept were these amazing hanging silver and gold sequin “curtains”. 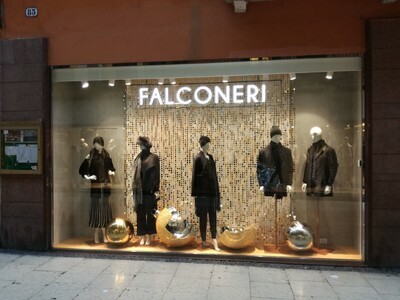 We made these for Falconeri in our workshop to their specification. 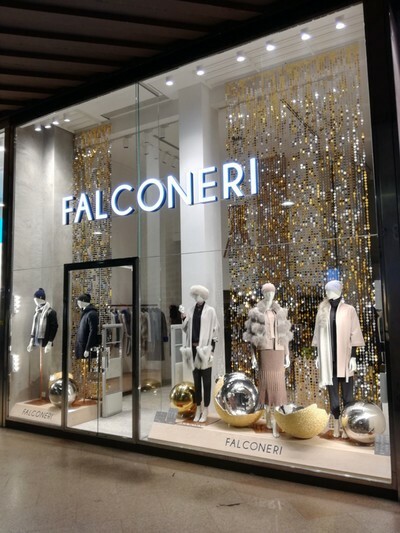 We used metal rods that enabled the curtains to be hung in store and in the windows as there were 150 windows around Italy and Austria in total of varying widths and heights. 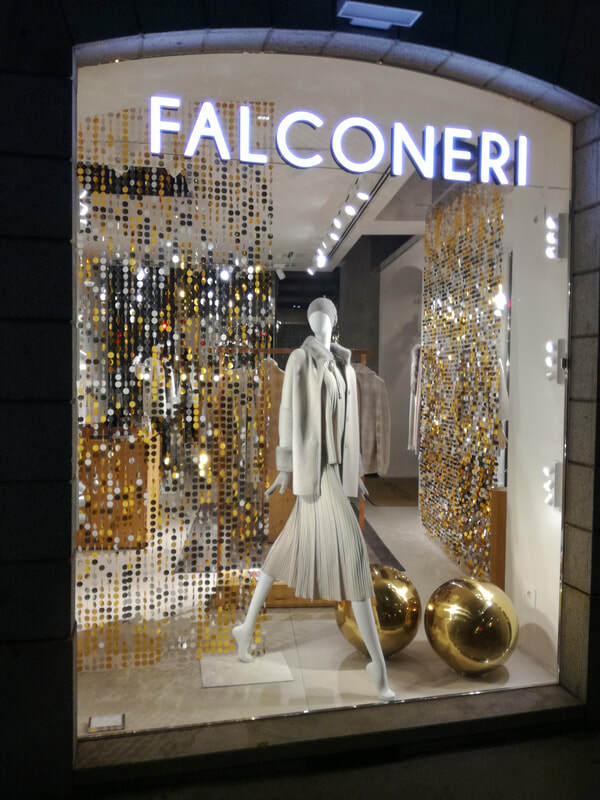 Our 30mm gold and silver sequins were threaded through a fine filament for an invisible “floating” look and knotted discreetly to suspend the sequins along the filament.